In 2016 I posted about my about my iPhone 6 photography kit which was an update from the photography kit I used in 2015. I bought an iPhone 7 last year and changed my photography kit only slightly but I made some changes to how I process my mobile images. NOTE: Lightroom CC refers to the new cloud-based desktop version of Lightroom. Lightroom Classic CC refers to the regular desktop version of Lightroom. Lightroom CC mobile refers to the iOS versions of Lightroom CC. Adobe Photoshop Lightroom for iOS was released several years ago, has gone through several iterations including a recent name change. Originally a standalone app, Adobe has made the mobile app an integral part of its Creative Cloud (CC) strategy and added features along the way. Over the last year, this free mobile app, now call Lightroom CC, along with an Adobe Creative Cloud Photography plan subscription, has become my go-to software for all my iPhone photography. My Creative Cloud Photography subscription includes the Adobe Lightroom Classic CC and Photoshop CC desktop app. Apple added RAW support to iOS starring with version 10. Adobe added RAW/DNG support to Lightroom CC mobile soon after. The app has three shooting modes — High Dynamic Range, Automatic, and Professional. The Professional capture mode gives me complete control over essential camera settings like the shutter speed, the ISO, exposure, and the white balance. Lightroom CC mobile focus mode has a feature that simulates the “focus peaking” feature found on many mirrorless cameras. A green outline around the edge of the objects show the features that are in focus. Lightroom CC for mobile has Auto Exposure Bracketing (AEB) mode for creating RAW (DNG format) High Dynamic Range (HDR) images. Three images are captured and then aligned, merged, and de-ghosted within the app to create a high dynamic range composite. With the HDR mode, I get a 16-bit floating point image with the full flexibility of a traditional raw file plus the expanded dynamic range of a multi-frame HDR blend. Adobe Lightroom CC mobile’s key feature is its synchronization with the desktop versions of Lightroom CC. This Lightroom CC feature syncs developed photos easily between an iPad, Mobile, or Mac. 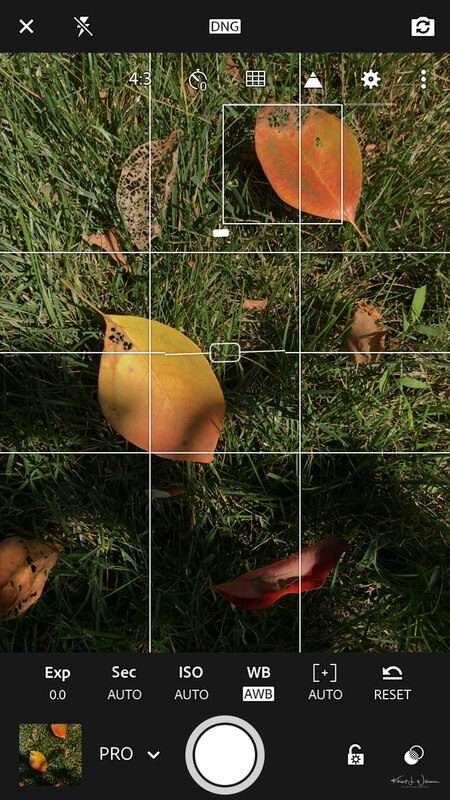 Lightroom CC mobile has easy-to-use sliders, filters, and quick adjustment tools. Edits on my iPhone are automatically synced everywhere else. I can shoot on my iPhone and edit on my iPad or Mac. Just like in Lightroom Classic CC on my iMac, I can pretty much adjust everything about an image via Lightroom CC for iOS. Lightroom CC mobile contains all the image adjustments found in the Basic panel of Lightroom Classic CC desktop’s Develop module, such as white balance, exposure, contrast, clarity, and vibrancy. It also includes several presets for applying black-and-white and colour filters (landscape, portrait, and vivid), specific looks, and tones; and a crop tool that can straighten, rotate, or lock the photo’s visible area to specific aspect ratios. The details section inside Lightroom CC mobile gives me control over sharpness, as well as adding noise reduction tools. I use those a lot. The iPhone 7 sensor is subpar in low light situations. I created a preset in Lightroom CC mobile as a default starting point for my editing. The one thing lacking that I wish Adobe will do something about is that presets in Lightroom Classic CC cannot be synced to Lightroom CC mobile. However, Lightroom CC users can use the same presets between desktop and mobile. 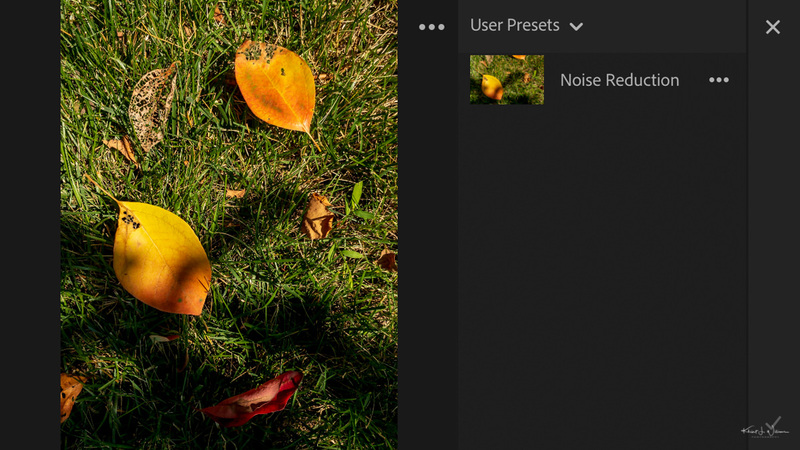 Presets imported through that Lightroom CC desktop version will now sync via the cloud to the mobile apps. The same synchronization also works with colour profiles. The feature works with both purchased third-party presets and user-generated presets. Like on Lightroom CC desktop, the Lightroom CC mobile app uses the edits already applied to the selected photo to create a new preset. I can select which adjustments to include in the user created preset. I’m pretty good at holding my iPhone 7 steady while taking photos but long exposure and HDR require that the camera remains stationary. A few years ago I bought a small Manfrotto tripod that I use to use with my iPhone. The tripod is lightweight, portable and rugged. It’s small enough to fit inside a long coat or small backpack. The tripod has a push-button locking adjustment, so I can position the tripod head just where I need it. 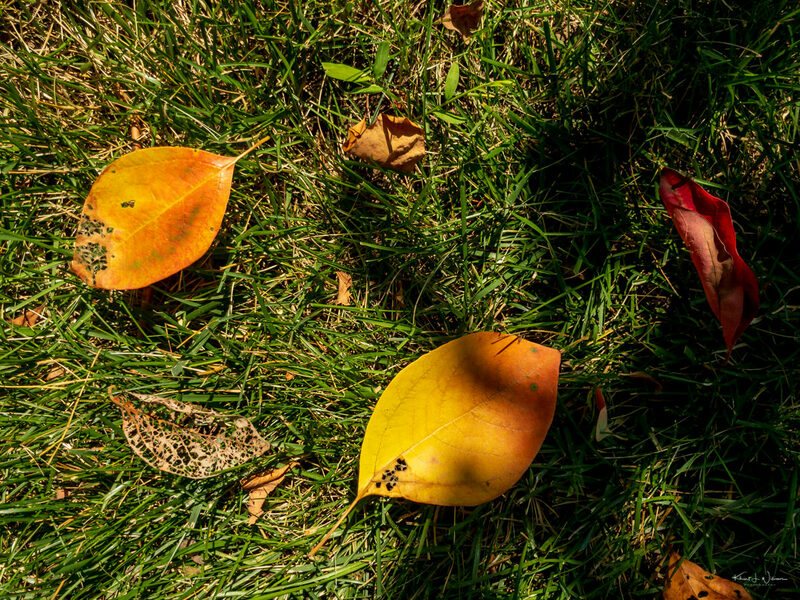 You can learn more about Adobe Lightroom CC on Adobe’s website. My mobile photography workflow is snap, edit, post. The Manfrotto tripod and two camera apps are all I need to create compelling photographs with my iPhone. @khurt I’ve started to use Lightroom on my phone also, although I find it to be a bit “heavy” to be used as a camera and usually use ProCamera (not ProCam) instead.